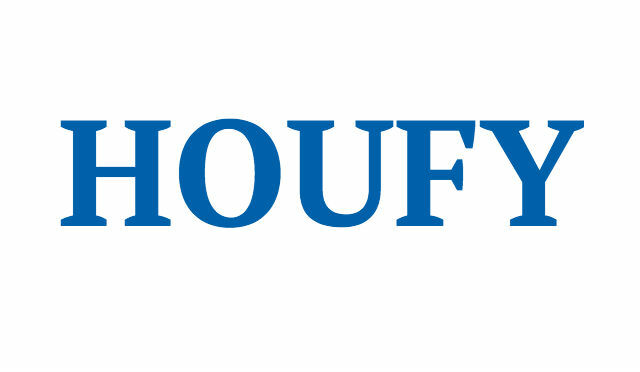 To follow Maria L, please log in to Houfy or create an account. Eureka Springs Cabin Rentals available at Lake Forest Luxury Log Cabins in the Beaver Lake Area! This cabin can be rented as a one story for up to 4 people or as a two story unit for up to 10 people. Please send us an inquiry or request to book and state that you would like to rent this cabin as a 1 story or a 2 story unit and how many people you have. We will then send you a correct quote. Certain times of the year, we rent as 2 story unit only. Eureka Springs Cabin rentals at Lake Forest Luxury Log Cabin in the Beaver Lake Area. Our luxury log cabin features Jacuzzi for two, fireplace, full kitchen, BBQ grill, large deck with views in the Ozark Mountains of Eureka Springs. Newer log cabin built in 2007 with all the comforts of home. Perfect for honeymoons, anniversaries, romantic getaways, family gatherings - or just to escape and get away from it all. Take advantage of one of our In-Room Services! Couples Massages available or hire our Private Chef Bryan to prepare a wonderful Dinner or Brunch in the privacy of your cabin! Bring your boat...bring the kids! Starkey Marina just 3 miles down the road where you can rent a fishing boat, or a pontoon. Enjoy swimming in our Swimming Pool or at Beaver Lake. The Beaver Dam Public use area is just 4 miles down the road. Hire a fishing guide for Trophy Striper and Trout fishing. Kayaking, and canoeing is nearby on the White River. Enjoy wildlife right outside your cabin door. It is a short 7 ½ mile drive about 15 mins. to historical downtown Eureka Springs where you can enjoy fine dining, night life, shopping, antiques, museums, art galleries, music shows, wildlife safari park, Pig Trail Family Fun Spot, natural caves and springs, Victorian homes and historical architecture. No smoking (ashtrays provided to smoke outside only). We do have ONE PET FRIENDLY cabin. CHILDREN WELCOMED! Open year round. Swimming pool is only open seasonally. Please inquire as to open and close dates. We have a guaranteed check-in time of 3:00pm. If your cabin is ready prior to 3pm you are welcome to check in earlier. If you will be arriving after 3pm please contact us, as there are specific instructions for late arrival. 4 Main level is done in an open setting. King bed with Queen sleeper sofa in the living area in front of it along with a full kitchen, bathroom with 2 person jacuzzi tub. 6 The lower level consists of a Queen bed in an open setting, a living room with Queen sleeper sofa, and a private bedroom w/door and Queen bed. and a Bathroom. Children are always welcomed. We do have a pack n play available based on availability. No loud parties. But Family Reunions are welcomed. We supply bathroom amenities: Shampoo, Conditioner, Soap. Kitchen amenities: Paper Towels, Trash Bags, Salt & Pepper, Sugar, Creamer, Filter pouched Coffee, Tea. All Towels and Linens are provided. We also have a coin-op laundry on site. Wi-Fi is available within a 100 ft. radius of our office but not in the individual cabins. All dishes and utensils are provided. Bring charcoal and lighter fluid, and maybe some foil for the outdoor grill. Outdoor swimming pool is shared by 4 cabins. Hello! My name is Maria. I would like to welcome you to my little piece of paradise here in the Beaver Lake area of beautiful Eureka Springs, Arkansas. I have been in the hospitality business for over 20 years. I take pride in providing my guests with a memorable and comfortable stay. I look forward to accommodating you! For Stays up to 4 nights, we require a one night stay paid in full to confirm your reservations. For stays of 5 nights or more, we require 2 nights paid in full to confirm your reservations. Balance is due 14 days prior to arrival date. From Eureka Springs, take Hwy 62 west to 187 South turn left (RiverLake Outdoor on the corner). Go 4 miles and take the left fork in the road (lots of signs in the fork) onto Mundell Road. Go 1.5 miles. Take a left onto Lake Forest Dr. We are located on the left hand side of the road. From Hwy 71 (I-49 formerly I-540) at Bentonville, take exit 86 onto 62 east and go 27 miles. Go one mile past 187 north and turn RIGHT onto 187 south (you will see a large sign saying Beaver Dam). Go 5 miles on 187 and watch very carefully for Mundell Road (if you go as far as New Horizon, you've gone ? mile too far). Take a hard switchback right onto Mundell Road. Go 1.5 miles down and turn left onto Lake Forest Dr. 1/4 mile on the left hand side of the road.